Georg Wilhelm Heydemarck was an officer ion the 47th Infantry Brigade at the outbreak of the First World War in August 1914, and saw action in the Champagne region of France that same year. Between the wars he wrote a number of books about his service in the Air Force during World War One, three of which were translated into English. 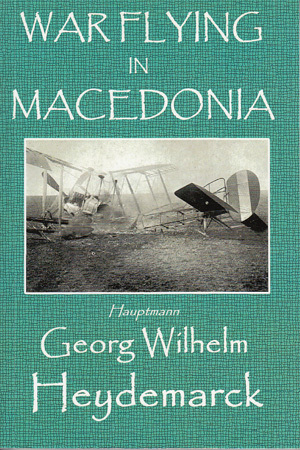 This is the third of those translations, War Flying in Macedonia.